Great engine. Responds well to the usual mods including head setup and porting for more power everywhere. 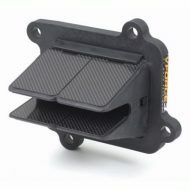 Aftermarket powervalvee cover improves midrange. 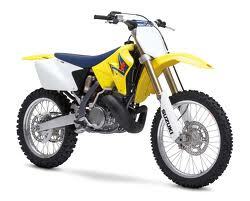 The RM125 is one of our personal favorites. The porting layout was changed significantly for 05-07 and these later models are the pick of the bunch, although the models prior to 05 are still great engines. Best mods are head setup, V Force reedcage and standard or advanced porting depending on application. A stock engine will produce around 34rwhp. 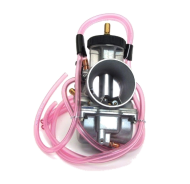 Our modifed MX engines can easily reach over 38rwhp with sensible mods to stock parts and give more power everywhere compared to stock. Big bore 144cc setups are a good option for much better power bottom-top. We offer our own 144 kits and can match the head and porting specs to suit your needs and do all of the modification work in-house. Contact us for more info. Another great engine from Suzuki that has stood the test of time. Its very close to the Yamaha engine in design and therefore the same mods apply. Makes good power in stock form but its very prone to detonation and poor top end life when ridden hard due to the head design… as a result they must be jetted very rich to keep temps down. Best mod is to setup the head properly. Once this is done jetting can be safely made leaner and it will make more power everywhere. No need to do extensive porting as the cylinder produces good enough power for most riders. Big bore kits are another option. 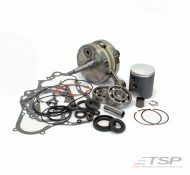 For racers or more serious riders we suggest one of our own TSP 265cc or 295cc big bore kits. 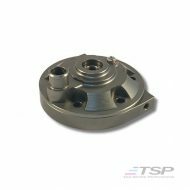 We do all the modification work to your existing 250 top end in-house and can tailor the head setup and porting specs top your needs.